Disruptive technology is sparking innovation across industries, but one segment that appears to be taking off is the live event business. With a record $5.65 billion in revenues in 2017, the Top 100 worldwide tours generated 15.8 percent more business than the previous year. Live events represent the culmination of art, engineering, and technology, and to stay ahead of the curve, artists are pushing the limits of both creativity and technology. While internet-driven technology isn’t inhibiting fans from seeing their favorite artists in the flesh, an emerging technology may make strides for anyone wanting a similar interactive experience without the hefty ticket prices, lines, and crowded venues. 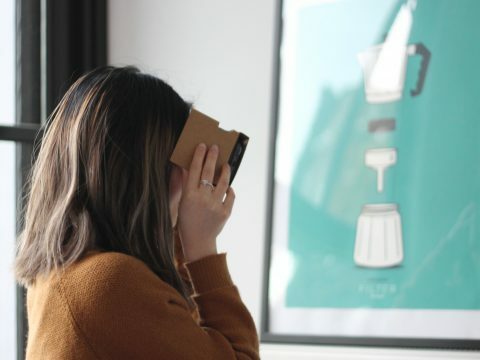 One company behind these virtual tickets, MelodyVR, allows music lovers to see their favorite bands in the front row, on stage, or up-close in an intimate venue — that is, see them virtually. The idea is that through a virtual music-going experience, fans can enjoy their favorite music —live —while bypassing lines, poor views and the occasional spilled drink. As an added bonus to music labels, artists, and venues, MelodyVR absorbs filming costs. VR live music is also making waves in the film industry. At the end of 2017, rock-legends Queen and Adam Lambert filmed their first-ever VR tour, VR The Champions; the film’s director, cinematographer, and stereographer won the prestigious IMAGO Award for Extraordinary Technical Achievement. These two mediums have combined before to transform the industry, but there are still questions as to how it will evolve this time around. While VR is poised to transform the music industry, there are still hurdles to overcome. Jannicke Mikkelsen, director for VR The Champions, explained that despite major advancements, VR is still in its infancy. “We need to understand that it’s completely separate from traditional film — it differs from traditional filmmaking in every conceivable way possible,” she said. 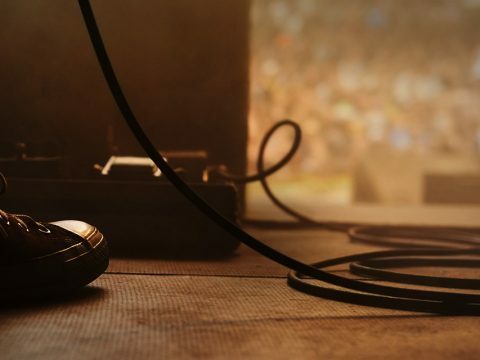 While VR may seem like a natural form of expression for a musician to embrace, due to the more intimate connection it can create with fans, the problem today is that it has yet to reach mainstream acceptance, nor is it user friendly. “It’s cumbersome at the moment and, frankly, too technically advanced for most people,” said Mikkelsen. 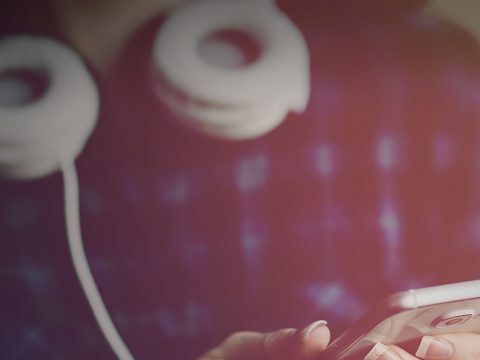 Besides, the music industry tends to be suspicious of technology, according to industry analyst and CEO of Media Insight Consulting, Chris Carey. Still, he sees music moguls adapting to new technology with consumer demands. “I think we are starting to see more trust in technology with companies like Spotify,” he added. Though optimistic about VR as a method of innovation in the industry, Carey advised that since music is primarily an auditory experience, advancements brought about by VR will need to be as much about sound as they are the visual experience. “The audio experience must be high-end,” he said. For VR to truly prosper in the music industry, he added, fully-immersive audio, such as the spatial audio — which uses advanced sound technology to provide a 360-degree listening experience — will need to be more commonplace. The world-famous London Abbey Road Studios’ spatial audio, for example, “gives listeners a sense of space beyond conventional stereo, allowing the user to pinpoint where sound is coming from, whether it’s above, below, or a full 360-degrees around you,” its website states. Carey is also enthusiastic about MQA technology, currently used on Tidal, whose audio format, he said, provides a much cleaner and fuller sound than what’s typically found on streaming services. Using what’s known as “musical origami,” the software folds (shrinks) music files into a streamable size; the small file can then be unfolded by the source and streamed or played in the highest audio quality. She explained that the project was driven by Queen guitarist Brian May, an astrophysicist who also happens to be an expert in stereography, and who developed his own VR kit, Owl, in 2016. According to Mikkelsen, May and the band gave her carte blanche to select the arena where they’d film, design the stage to suit VR production, and allowed her VR-setup to hover amongst the fans and on stage. On top of the band’s permission, filming VR The Champions required extensive use of both hardware and software. The camera rig, comprised of 20 GoPros, required an engineering team to work around the clock to ensure the software could manage all the data generated by the cameras. For the audio portion of the film, the band insisted on a simulated 360-degree audio sound. To achieve this, Mikkelsen and her team worked closely with the band’s audio engineers and hung 70 microphones scattered throughout the venue. “We knew that in post-production we could mix the tracks to reflect where the camera was located in space and time,” she said. Mikkelsen’s final concern about VR is the potential to cause motion sickness for viewers. To avoid this common occurrence when experiencing the technology for the first time, it’s critical that VR creators and filmmakers develop and use the technology in a way that keeps this sensitivity in mind. Still, the silver lining, Mikkelsen said, is that today’s VR equipment is much more advanced than even just two years ago when she shot VR The Champions. These experiences put fans in the director’s chair — precisely where Mikkelsen hopes music fans want to be, and what Queen had in mind with VR The Champions. VR’s reality-of-view and the 360-degree sound surroundings have a far stronger effect on the human instinct than we would like to admit, Mikkelsen chimed. “VR is all-consuming,” she said. “You [live] in the first person, so it’s more of an experience rather than a film you observe and watch.” While film is like a story told, she added, VR creates a new memory by tricking our brains into believing our experience is real. The days of recruiters sifting through piles of resumes may soon be over as machine learning, AI, and VR make their way into the workplace, helping companies find the best available talent.